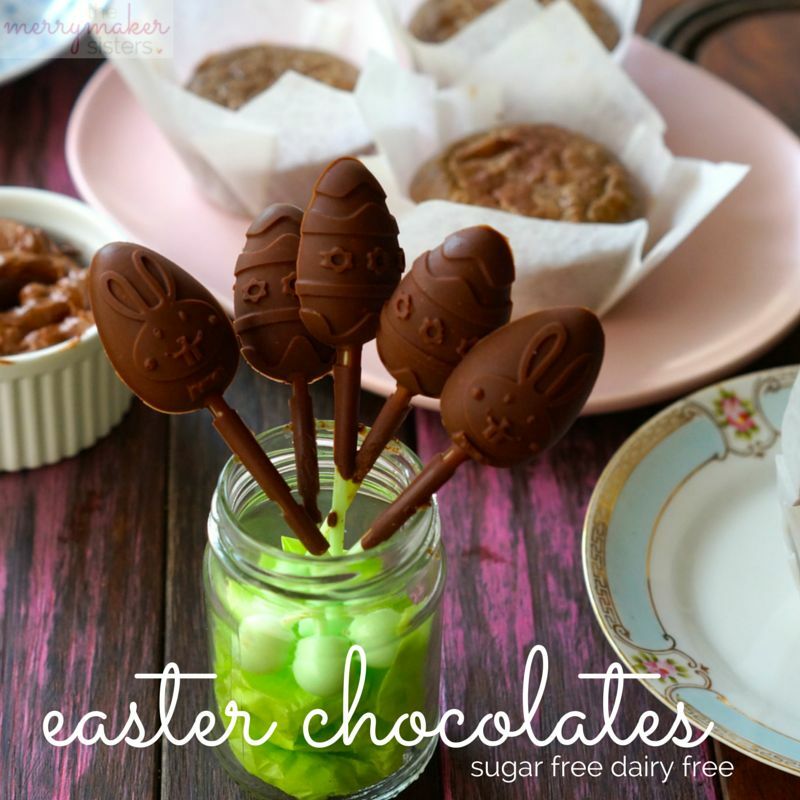 Easy Easter Sugar Free Chocolate | No Sweetener! 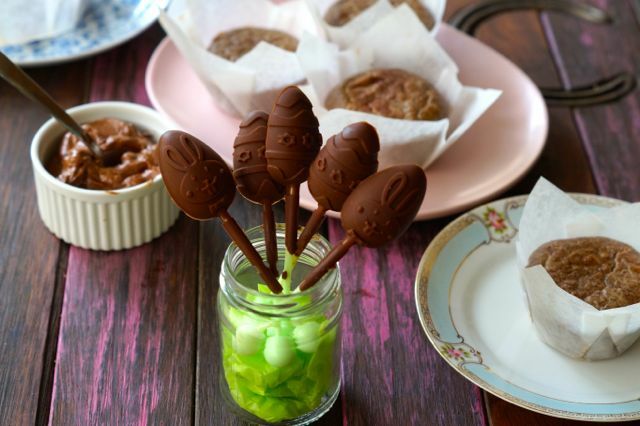 Thinking of making your friends and family some Easter treats?! Of course you are! 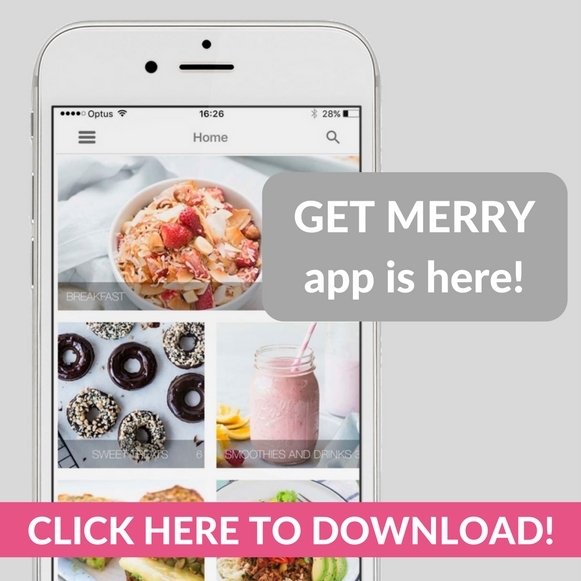 Well, NOW is the PERFECT opportunity to introduce them to the amazing world of healthy, super, amazing, dairy free, sugar free chocolate! Hooray! Pick up some cute-sy Easter silicone moulds, whip up a batch of our Easter Sugar Free Chocolate and boomshakalaka – you have the best Easter gift ever: home made AND edible! Tick, tick! Go a step further and make our new Grain Free Gluten Free Hot Cross Bun Spiced Muffins too! Because Easter is better filled with healthy, UNsweet treats! p.s if you like our choccy and you like our muffins… then you’re probably, most definitely going to LOVE our Paleo Hot Cross Buns! Place all ingredients in to your blender or food processor (we use our Vitamix but a thermomix would work well too). Whiz until smooth, scraping the edges as you go. This will take around 5 minutes - the friction from the whizzing will melt and combine all the ingredients to this perfect smooth chocolatey goodness. 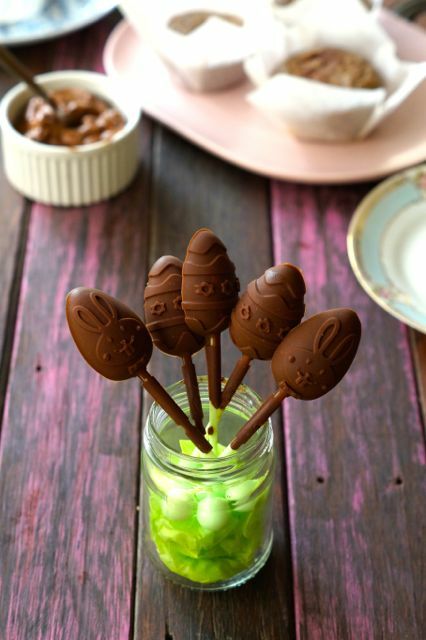 Carefully pour the mixture in to silicone Easter moulds and place in to the freezer for 15 minutes or until set. Turn out the chocolate from the moulds. Store the chocolate in an airtight container in the fridge. If you like things sweet, then add 2-4 tbs. of raw honey or 100% maple syrup to your blender!